Snowy Photos: March 31st, 2010: Powder Day? 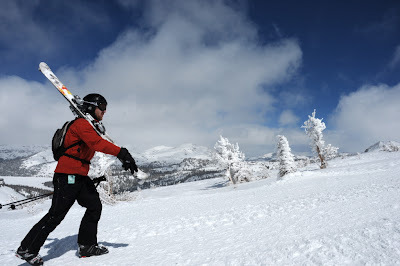 March 31st, 2010: Powder Day? Last night I arrived in San Francisco expecting to have two days off before heading back into Yosemite for a backcountry weekend. Then I found out that Tahoe had just gotten two feet of powder. Change of plan. Evan, a good friend from Chicago, had moved to San Francisco while I was in Italy. I could think of no better way to spend our first day as fellow Californians than shredding the fresh Kirkwood pow. We made the early morning drive from San Francisco, but icy roads delayed our arrival and we didn't get on the slopes until 10:30am. Luckily the backside didn't open until 12:30 due to avalanche control and we were riding up Chair 4 as the first tracks were cut. 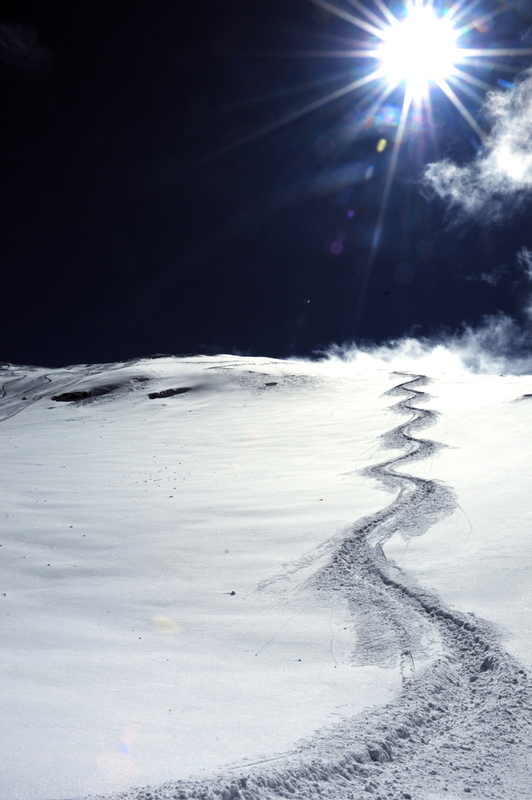 Resorts can get tracked out in no time, so it's often worth it do a little hiking to keep catching clean lines. Evan and I hiked up past Chair 15 (a pommel lift that is rarely open) and found the goods time and again. March 31st and the air was cold enough to keep trees coated in snow. I love it. It was 3pm and I was getting my best runs of the day. This is the good life.